A young Saudi woman who fears for her life is in the midst of an anguishing wait as Australia processes her claim for asylum. 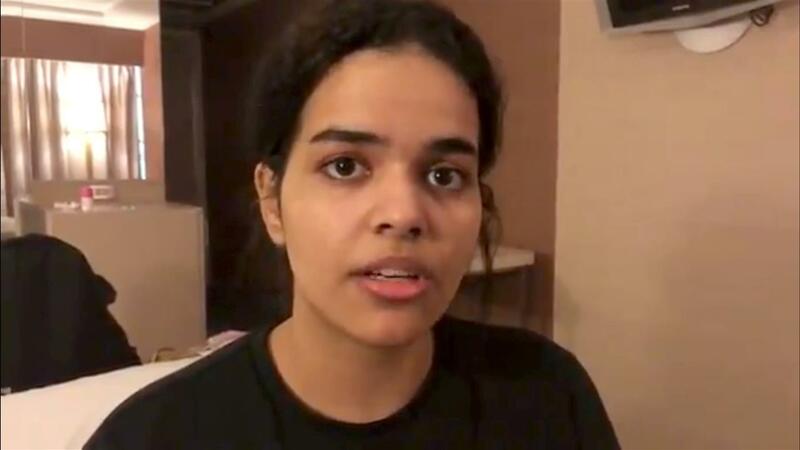 Rahaf Mohammed Alqunun (18) is in Bangkok while her application for refugee settlement is being weighed up by Australia. Foreign Minister Marise Payne visited Thailand on Thursday less than a week after the teenager's plight garnered global attention through her social media campaign for asylum. Senator Payne said the matter would be resolved "in due course" but refused to detail a specific time line. "Australia is now engaged in the steps of the assessment process of Ms Alqunun as required. That is a process that is underway," Senator Payne told reporters in Bangkok on Thursday. Senator Payne praised Thailand for referring the case to the United Nations, which determined Ms Alqunun's was a refugee. Ms Alqunun had planned to enter Australia on a tourist visa and seek asylum before she was detained last weekend. The teenager fears her family will kill her if she returns home after she renounced Islam and fled while on holiday in Bahrain.